When Hornady introduced a brand new rifle cartridge to the world back in 2007, no one could have predicted just how popular this round would become. In the beginning, the round was not exactly well-received when it came out. Then, as long-range shooting increased in popularity, so did the 6.5 Creedmoor. Now, the 6.5 Creedmoor is quickly becoming the go-to shooting round that was developed in the 21st century! Contrary to other popular big-game rounds in the USA, the 6.5 Creedmoor was specifically made for competitive long-range shooting, and not as a military round. In a 24” barrel, the 6.5 Creedmoor cartridge can shoot to about 250 yards with less than 1″ bullet drop. Since a 6.5mm is a relatively large cartridge, it certainly can go much farther. However, what scope you choose to use the rifle with will greatly affect your distance. A Quick Guide to Distance: How Far Will Your Bullet Go? In comparison with other calibers, 300 yards is pretty long. However, that does not mean you’re ready to go without some sort of magnification. So, what can you expect out of your 6.5 Creedmoor? What Magnification Do You Need? If you’re a hunter hoping to test your personal limits, you’ll need the best scope for 6.5 Creedmoor. Although some scopes are more powerful than others, they’re not always ideal for every type of shooter. Generally, increased magnification will assist you in shooting further. Check out our guide on magnification to learn about lens measurements. How far do you want to take the 6.5 Creedmoor? At a long range, you’re not likely to be doing much besides target practice. You will want at least 15x magnification or more. The 6.5 Creedmoor is perfect for shooting on medium ranges. If you mainly shoot on such distances a 9-15x magnification should be enough. For smaller targets, you may need more than 15x. Close range is considered to be under 300 yards. With a 6.5 Creedmoor scope, you can decimate anything on sight. At this range, if a scope is preferred, you will need around 5-9x power. If you’re a marksman that shoots at a variety of distances, don’t worry – there are plenty of options for you. However, just remember that each scope serves a different purpose. This is to accommodate for the variety of shooting styles out there. We’ve given you plenty of reliable names to choose from. Mounting any of these is guaranteed to be a fantastic choice for the 6.5 Creedmoor. Below are reviews of each scope that will give you insight into the best scopes for 6.5 Creedmoor rounds, as well as a list of the pros and cons of each one. Hopefully, after reading this guide you’ll gain some perspective on which scope will suit you the best. Vortex has gone above and beyond with their constant innovation and improvements in products. Not only do they strive to make a durable product, but the price is also unbeatable. With practically zero parallax and an anti-reflective lens, the Dead-Hold BEC MOA has a custom designed hashmark. This helps the shooter to eliminate any type of guesswork on windage corrections or holdover. It is a nice feature to have for varying ranges where holdover is a great concern. The magnification of this lens is 6 – 18x with a diameter of 44 mm. It seems like the Crossfire II truly take the average hunter into consideration when designing what they need. Also, being nitrogen purged and having a sealed O-ring allows for optimal water and fog-proof performance. This scope was truly designed to be used on your average day of hunting and shooting. It’s durable, reliable, and all any hunter could ask for. With the scope only being 19 oz. it’s a great addition for any beginner as well. Yet, despite a few complaints about the scope’s eye relief, there’s not much more you could need. As mentioned above, Dead-Hold BDC is one of the greatest aspects of this scope. As a result, it makes pointing and shooting any target a no-brainer. Best of all, the fast-focusing eyepiece allows the hunter for easy and quick focusing. 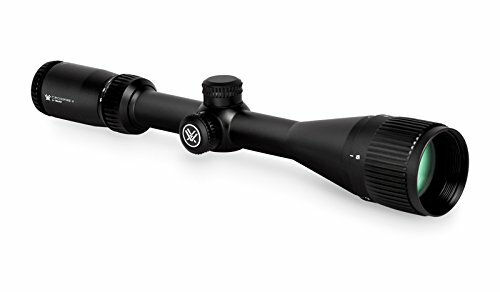 Generally, the Vortex Optics Crossfire II has a commendable list of appealing features. Vortex makes quality products that are both durable and affordable. An excellent choice if you do not want to shoot too far. 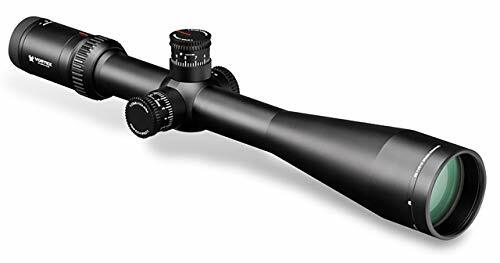 If you like the Crossfire II, but you want extra magnification and a bigger objective lens, check the Vortex Crossfire II 6-24x50mm Riflescope. The word Athlon has Greek origins meaning “medal” or “prize.” Athlon, as a company, works incredibly hard to make each one of their products feel as if you’re holding success in your hands. As soon as the scope is mounted, you’ll notice how smooth and straightforward the controls for Argos BTR is. The company also offers a shooter everything in adjustments from magnification, illumination, elevation, windage, parallax side focus, and fast focusing. Let’s not forget about the aircraft-grade aluminum that they use to make the tube has amazing strength and any internal pieces can take whatever you try to dish out on it. Certainly, even with the reticle etched on the glass, it provides excellent support and high shock-resistance. As far as eye relief goes, the Athlon Argos BTR offers a little over three inches. However, recoil can become quite scary when the scope gets a little too close for comfort. Athlon ensures that customers are comfortable, even going so far as to add additional for eye relief instructions to their user manual. The reticles used in the Argos BTR is a first focal plane (FFP). This means they are located in front of the image and lenses. The advantage of having the reticle in this position is that it is magnified along with the image. The traditional thin-wire reticle becomes much larger at higher power. Overall, this means the size of the reticle stays the same in relation to the target! Talk about making tracking a whole lot easier on the eyes. Athlon Optics has shaken up the market a little with its stunningly affordable and functional line of rifle scopes. Value-wise, it’s hard to question the Argos BTR 6-24×50 as the best scope for 6.5 Creedmoor rounds. Simply put, no other scope delivers as much for as little. This scope also features in our best long-range scopes guide. Vortex has gone above and beyond when designing this sleek and stunning piece. As a result, the Viper HS-T mixed with the VMR Reticle is fantastic for accurately shooting at long ranges. Also, the clear, clean view of the reticle is hashmark-based and has a second focal plane. This is to help maintain the relatively same-sized appearance of the target. Overall, it’s designed to help maximize long-distance shooting and ranging ability against windage, holdover, and moving-target conditions. The parallax works from 50 yards to infinity and requires one lithium metal battery in order to perform. However, it’s not a bad idea to pack a spare source of power when going out on a hunt! Speaking of, parallax when referring to scopes is when the target image does not fall on the same optical plane as the scope’s reticle. This can cause the need for movement of the reticle in relation to the target. This mostly occurs when the hunter’s eye is off from the crosshair’s center. Getting back to this awesome scope, there’s one more feature that we would love to highlight. One of the most amazing features on the Viper HS-T is the hands down the CRS. The design of the customizable rotational stop allows the hunter to easily and quickly return to an original point of zero. Also, this is great in parallel with using the elevation turret to hone in on any temporary bullet-drop corrections. These features are particularly useful when attempting to dial large multi-rev corrections. However, if this feature didn’t exist, you would have to manually and very carefully pay attention to your number of revs. Clearing this problem from the hunter’s mind allows them to focus on what they need to be truly doing – shooting. The remarkable CRS technology mixed with such versatile applications of the scope makes the slightly higher price tag worth every penny. As a result, Vortex has been known to continually impress and paves the way for scope technology. Honestly, it has definitely earned its spot on our list of best scopes for 6.5 Creedmoor. Would fit the AR-10 and 338 Lapua Magnum as well. If you’re looking for the best short-range scope for the 6.5 Creedmoor, look no further. Offering amazing eye relief, and fully multi-coated lenses, pinning down your target has never been easier. The reduction of glare and crisp view gives every hunter a new perspective on shooting. The DOA LR600, LR600-i and LR800 reticles give shooters a variety of aiming points at different yardage. Each reticle has numeric numbers indicating their different holdover points at 100-yard increments. Also, the ease of compensating for wind effects is incredible. With the scopes budget and desired features, there’s really not more to want. 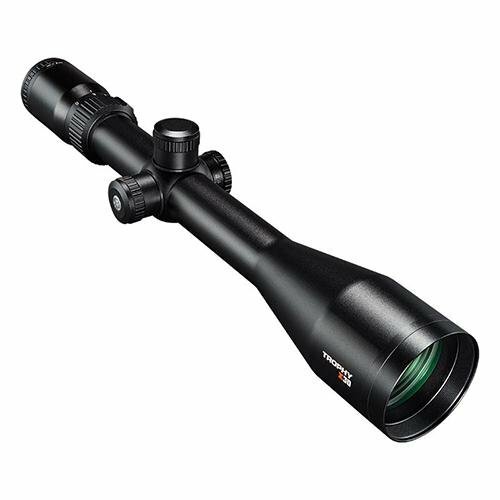 However, we do want the opportunity to highlight one of the Bushnell 756245B Trophy Xtreme’s best features. Bushnell has not disappointed with their significant improvement to light transmission and clarity. Their rain guard provides a clear image under a multitude of conditions. Also, the first external lens coating is to protect your riflescope against fogging, and scratch-resistant to keep going for years to come. At its budget price, there’s really not too much to complain about. The quality of scope for the price makes hunters happy. Yet, besides a few mentions from customers about stiff-adjustments, the scope performs at its expected level. With water, fog, shock proofing and Bushnell’s general notoriety for long-lasting and durable scopes, this item should definitely be on your list. Hopefully, this guide has helped you narrow down your search for the best scope for 6.5 Creedmoor. Now it’s up to you to pick a favorite. 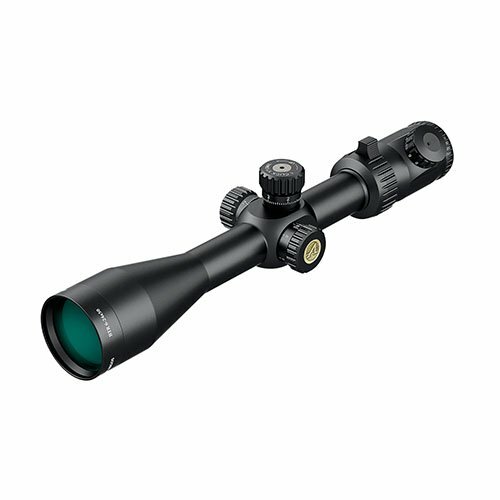 Each of these scopes is a top-quality product, so you won’t go wrong choosing any one of them. Before you start choosing, it’s important to take into account the price, safety and also what magnification you’re looking for. If you’re looking for the most affordable scope go for the Vortex Crossfire. On the other hand, if you’re looking for a scope with FFP, an affordable price, and great features such as precision and durability, the Athlon is a perfect choice. Finally, the Vortex Optics Viper may be the priciest of among the three, but it still offers great features for under $xxxx. In the end, 6.5 Creedmoor rounds have built a solid reputation in the world of long-range shooting, and any of the scopes on the list would be a great choice. If you want to shoot at night, you may check our top night vision scopes or thermal vision guides.